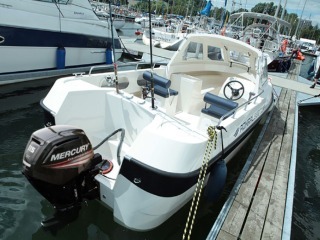 Admiral Pro-Fish 660 with Mercury 115 & trailer. The Pro-Fish 660 is a universal motorboat designed for inshore/offshore cruising and fishing. 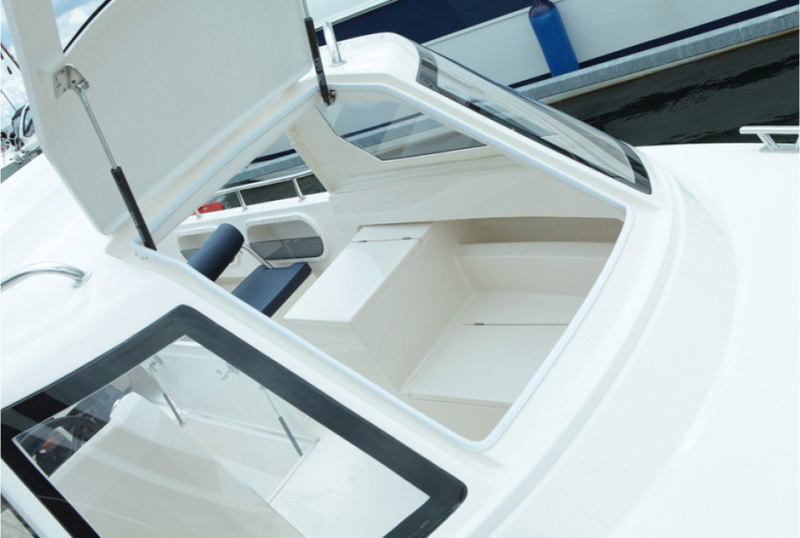 The specific design of the hull makes this boat very agile and easy to steer. There is a large amount of various lockers so that you get a lot of space for your gear and equipment. 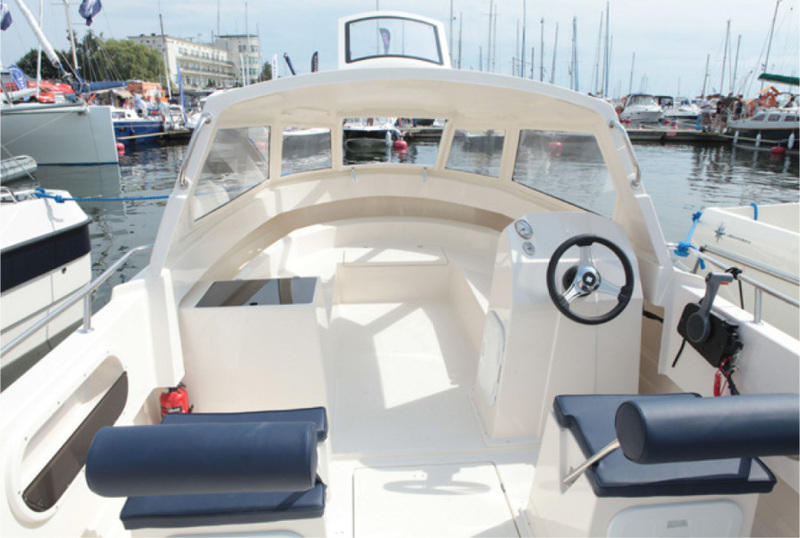 The Pro-fish 660 has been designed to give you a smooth and comfortable ride in all weathers and provides a large and spacious area to shelter from the weather. 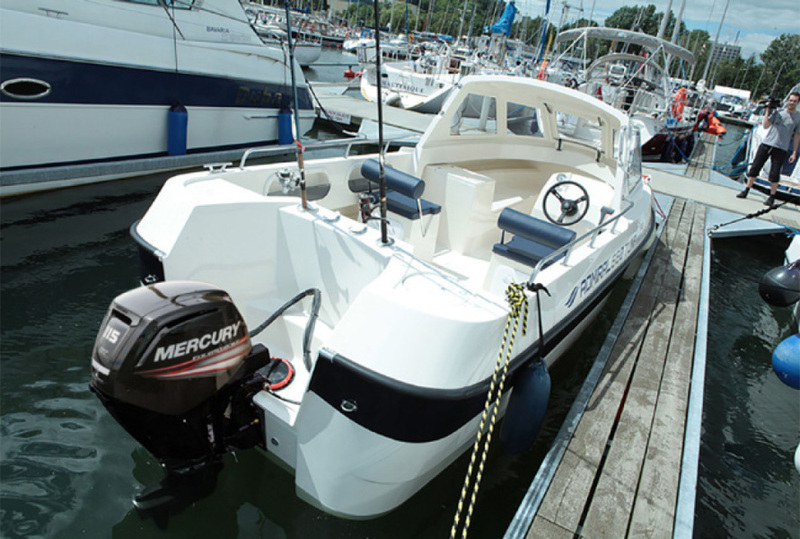 This boat has been designed for the demands of real fishermen, who need something professional. 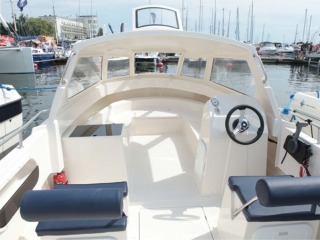 The designers and engineers have really focused on making this boat user friendly and practical. 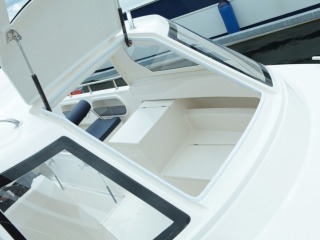 The front window can be fully opened which gives an opportunity to sit on the bow and give you full and easy access to the anchor and bow locker. The seaworthy hull makes the boat very stable. To give that extra protection the Pro-Fish 660 has additional grab rails, rubbing strakes and a strong a reinforced hull to give you that extra security.